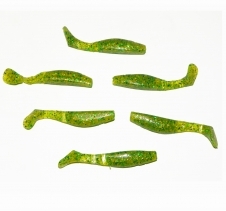 5 Pack of weedless jig head hooks. 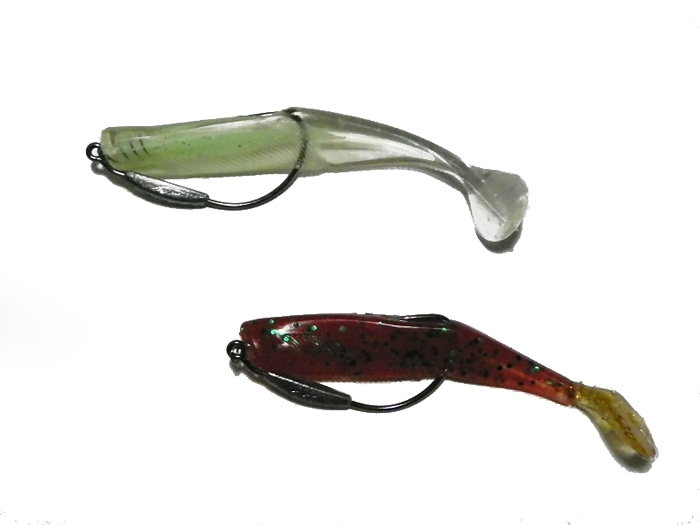 Known as "shaky heads" by some anglers. 2.4 grams in weight, 4.5cm in length. 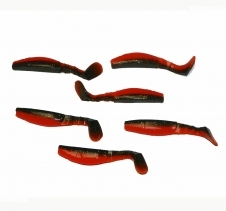 To suit most large soft plastic lures, including imitation yabbie style lures (hooked from the rear of the lure) and various swim-baits (hooked from the front of the lure). 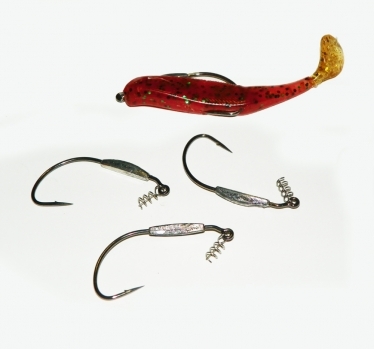 When attached as per the images, the top of the hook barb sits inline with the top of the lure, making it weedless and able to pass through snags fairly easily. 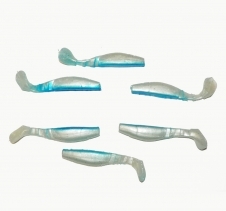 Using this type of jig head also allows for a much slower retrieve, as the possibility of snagging is much lower, if not eliminated completely. A very popular jig head both locally and overseas, a must for fishermen who wish to tackle the weedy and snag prone areas to produce more fish without loosing lures in the process. 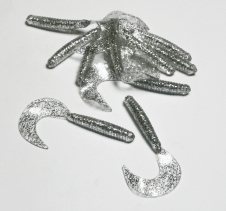 Attachment is simple, first feed the tip of the lure around the screw device at the front of the jig head, then feed the hook through the mid section of the soft plastic, so that the hook will sit flush with the top of the lure.